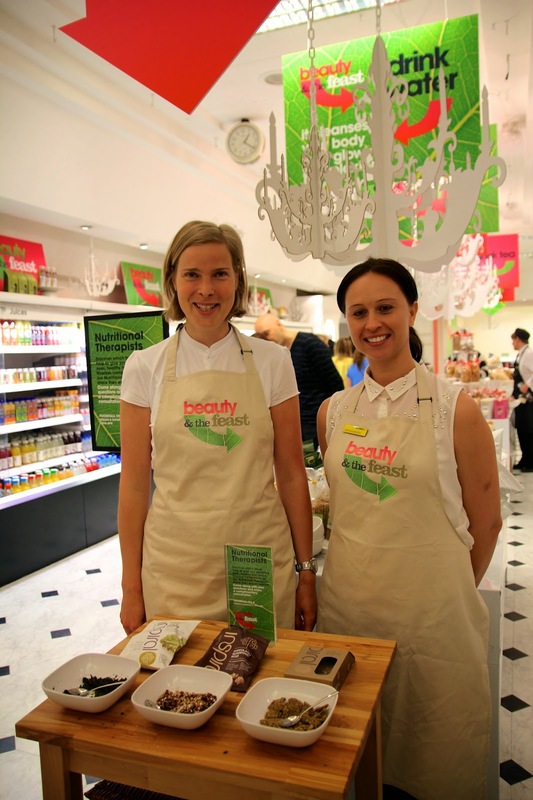 When I heard that Selfridges were holding an event in the foodhall called Beauty and the Feast for their campaign The Beauty Project, I became extremely excited to see what it’s all about. They are spreading the word on how food has a huge impact on our wellbeing, including the way we look – essentially beauty. This is something I strongly agree with and I have also in my own little way tried to spread the word too. And spread the almond butter! 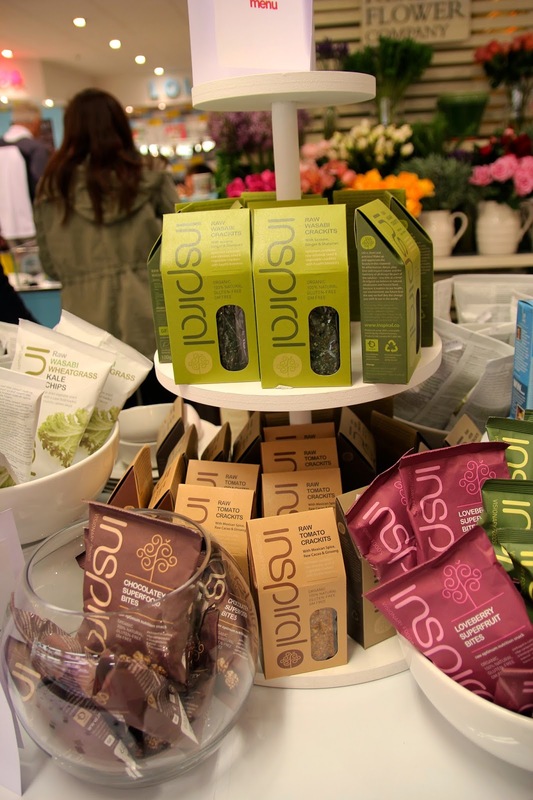 Many health-focused food brands have got involved and taken over the foodhall, including one of my favourites, inSpiral. You may remember I discovered their little cafe in Camden Lock Market back in February, and I have since continued to buy their products (the kale chips are almost too good to be true). So the lovely people that they are invited me down to check out their area within the foodhall and talk to one of their nutritional therapists that are roaming around ready to talk to anyone interested in healthy eating. 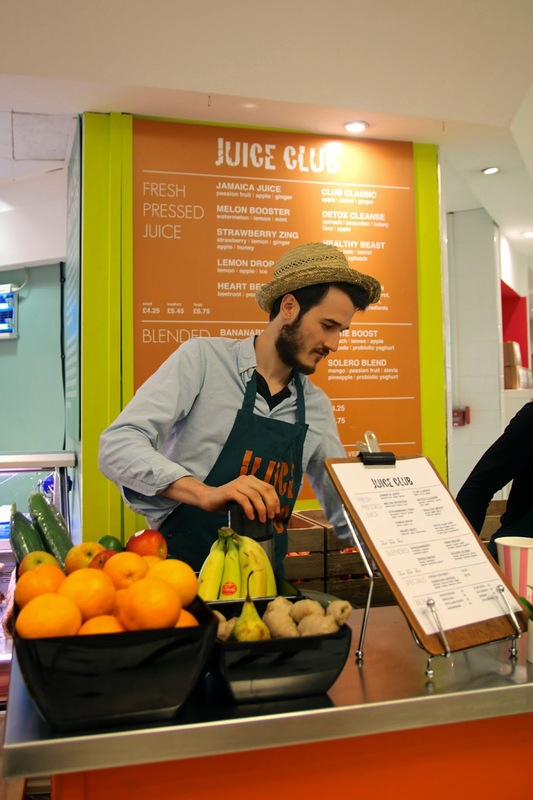 The foodhall is well and truly a health-freaks dream! 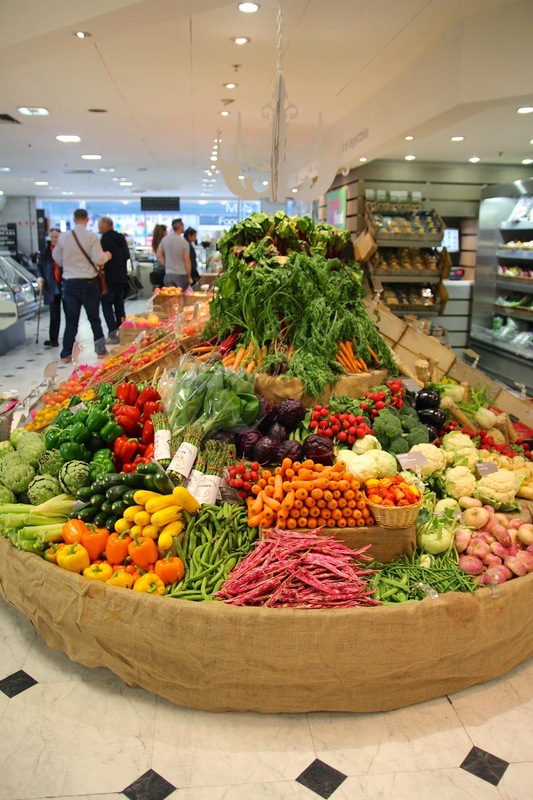 There are tables of gluten free cakes, wheat free breads and displays of fresh vegetables. It can all seem a bit daunting not knowing where on earth to start, so I went to meet the nutritionist, Michaela, at inSpirals table. We started off by walking around and looking at all the deliciousness surrounding us. It’s making me hungry just thinking about it. 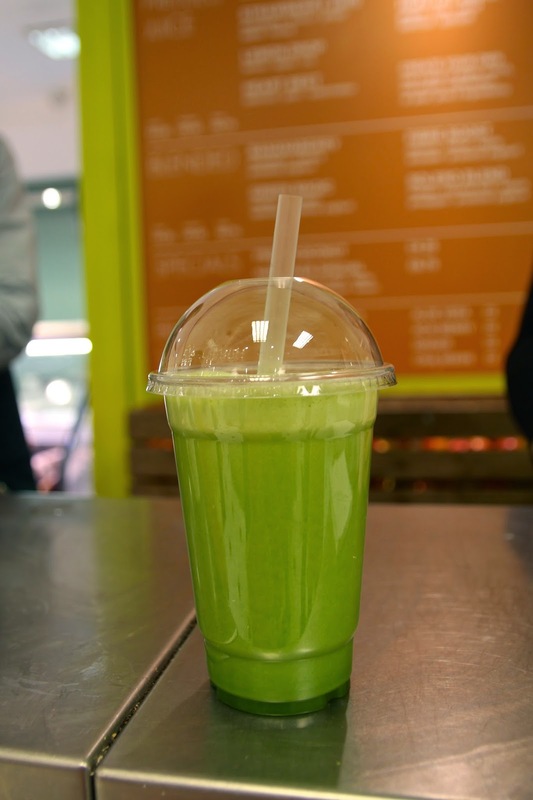 And OH a green detox juice by the Juice Club was exactly what I needed to sip on whilst walking around. Michaela couldn’t have been any more helpful with her knowledge on nutrition. I asked her every health question that came to mind (I wanted to take advantage of this – it’s not everyday I get to talk to a nutritionist!) and she gave me all the answers I needed and more. I learnt so much from her. (Which reminds me I need to buy that raw honey she recommended). These mini consultations with a nutritional therapist are free so it’s well worth a visit if you’re interested in finding out a bit more about food. Michaela explained to me inSpirals beliefs and visions – what it is that separates them from the rest. Nearly every product that they produce includes some kind of plant-based superfood with healing and medicinal benefits that can contribute to hormonal and alkaline balancing within the body. Superfoods such as Baobab can be found in the Kale Chips and Gingseng in the Tomato Crackits. It’s all very well eating healthy foods made from raw organic ingredients but it’s even better when the food has added good-for-you ingredients too! Just read the back of their packets and I’m sure there’ll be some kind of raw, natural, organic superfood in there somewhere. 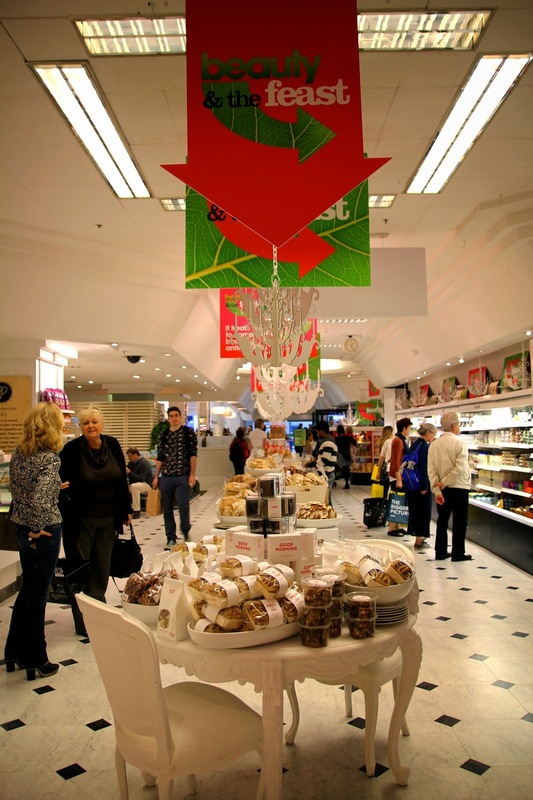 Beauty and the Feast is continuing through June and you can find all the details on the Selfridges website here. 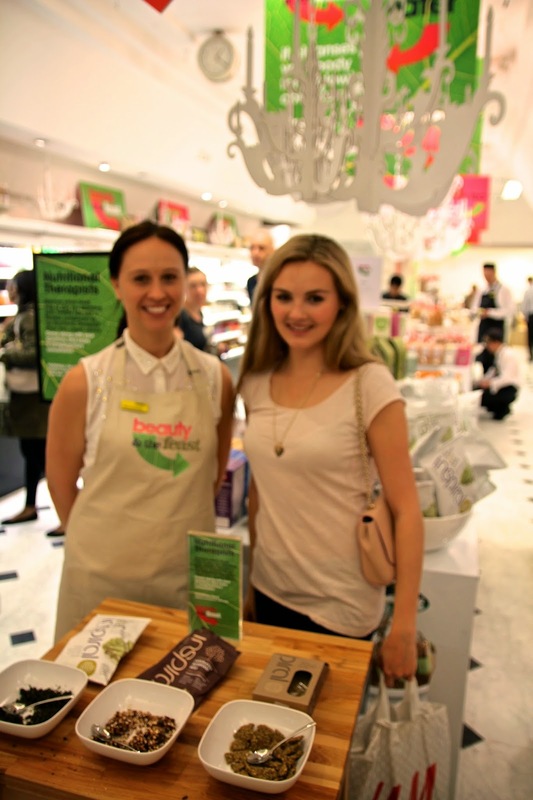 You’ll find Michaela and other nutritional therapists on Fridays and Saturdays – I’d really recommend talking to them! 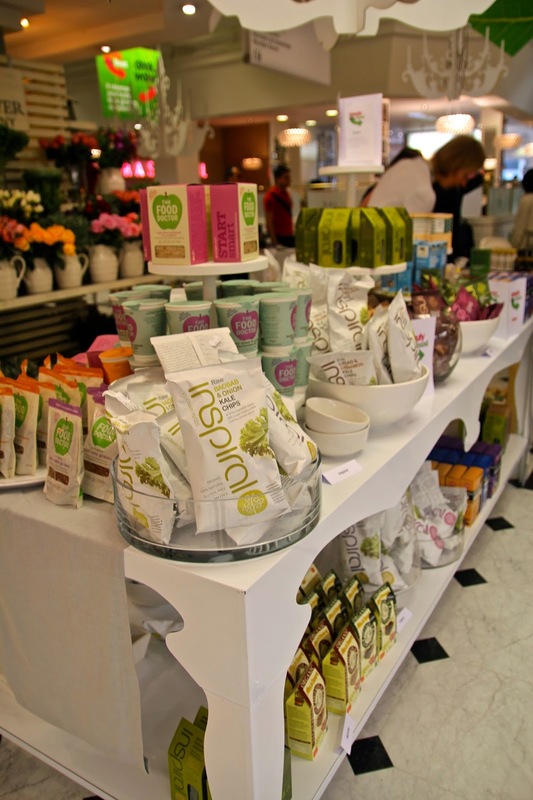 They’ll be by the inSpiral table in the middle of the foodhall.